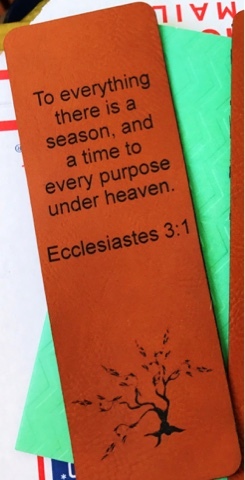 This bookmark was originally made for a friend, but it provided a timely reminder for me this week. Thank you for joining Scripture & A Snapshot. Leave a comment with a verse that God has placed on your heart this week, or leave a link to your own post sharing a Scripture and a snapshot. Take time to visit some of the other links and our group Pinterest board for Scripture & A Snapshot. That is a good verse to remember. God has the right timing for everything!